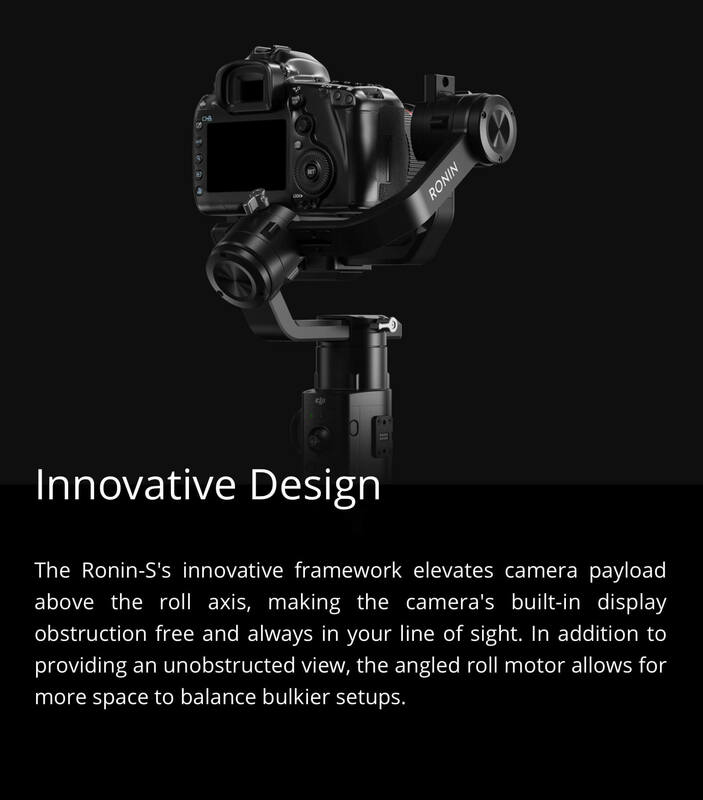 DJI Ronin-S Handheld Gimbal Stabilizer for DSLR and Mirrorless Cameras - EZEE.com : High-end made ezee! 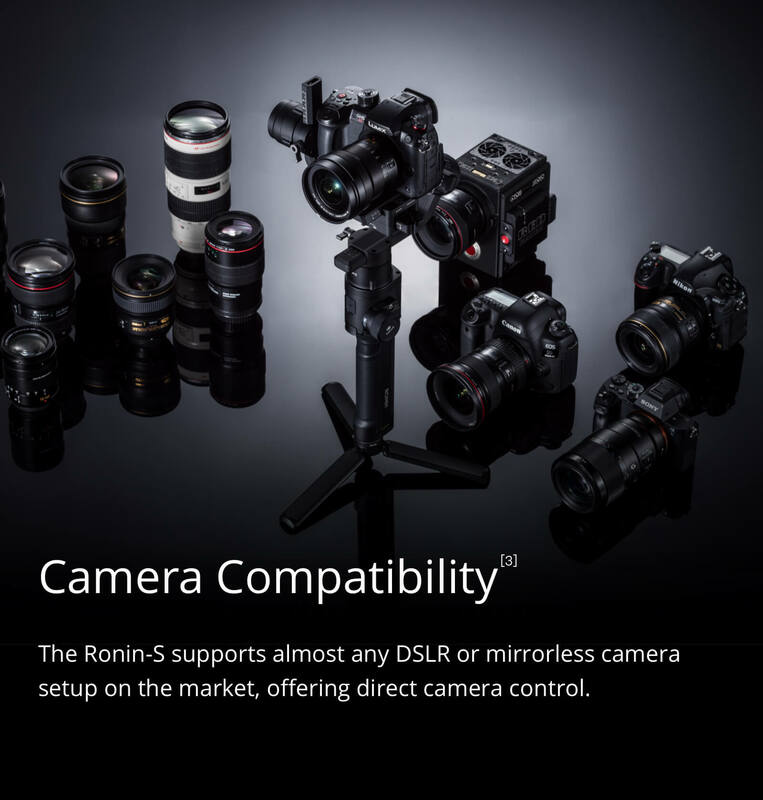 Compatible with most cameras up to 7.94 lbs. 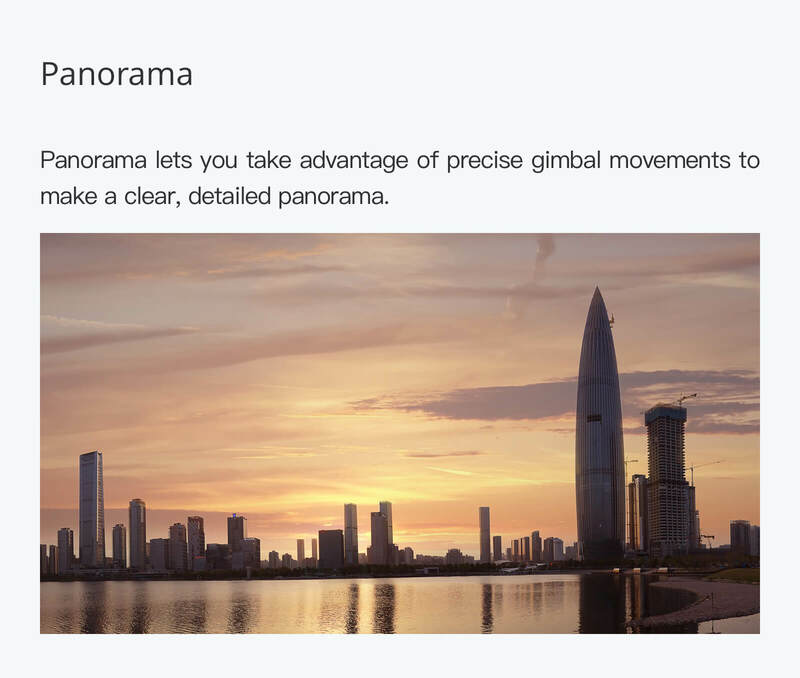 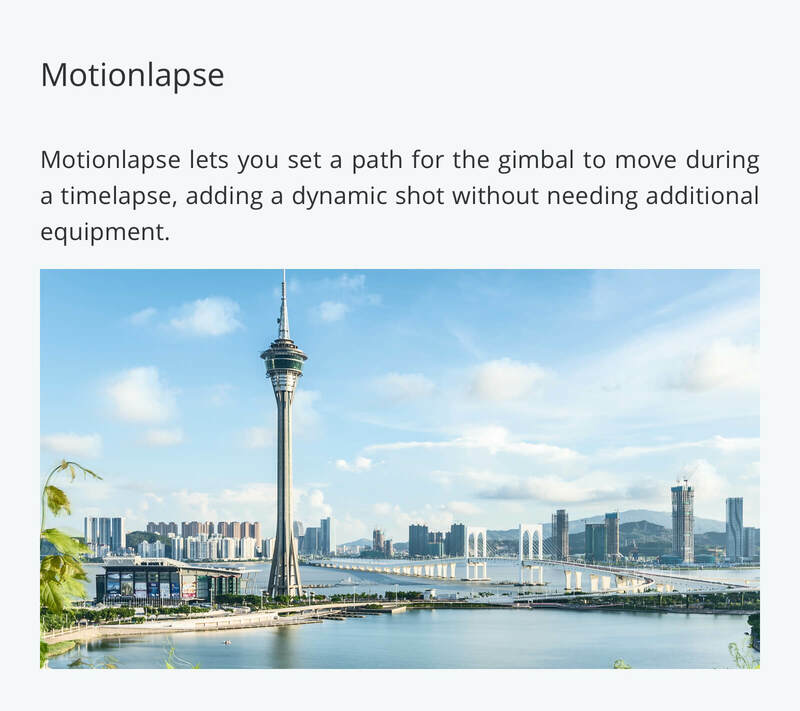 This gimbal is capable of holding a DSLR or mirrorless camera. 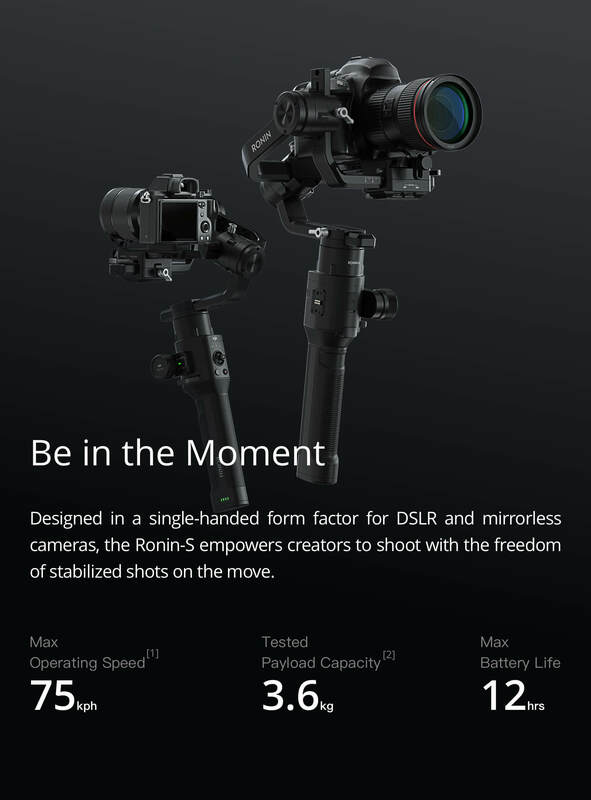 Gives you the ultimate freedom of motion. 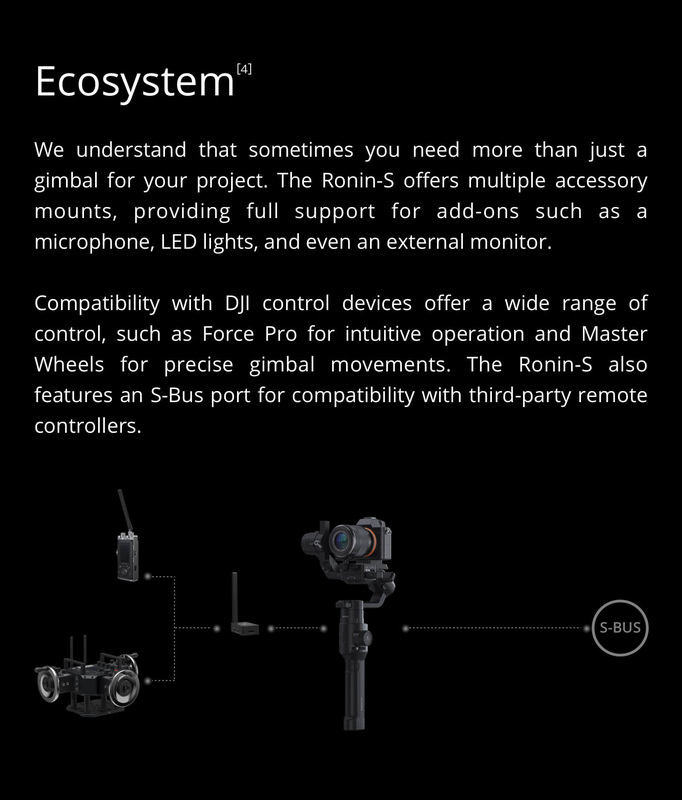 Provides the ability to operate in different orientations without encountering rotation limits. 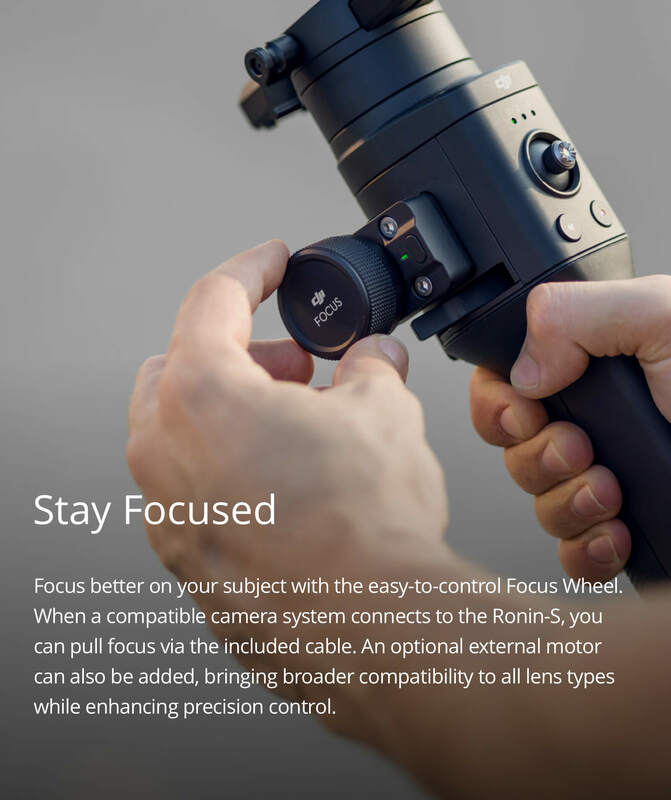 Provides electronic and mechanical drive options for multilevel follow focus and camera control. 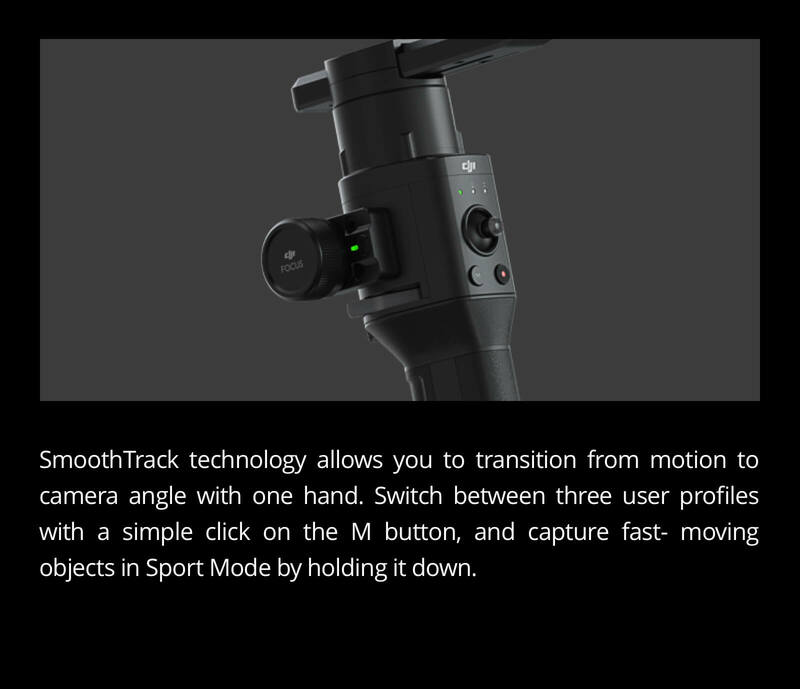 Allows you to transition from motion to camera angle with one hand. 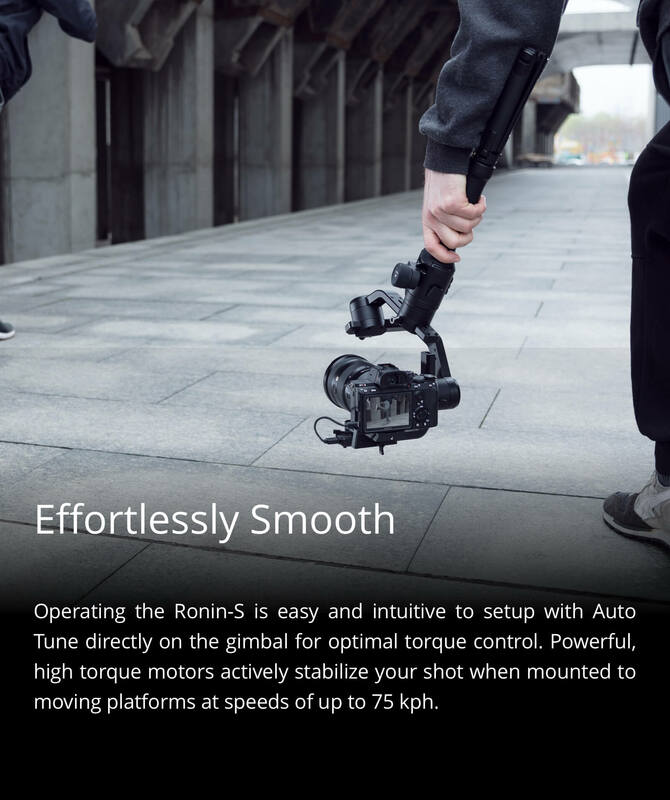 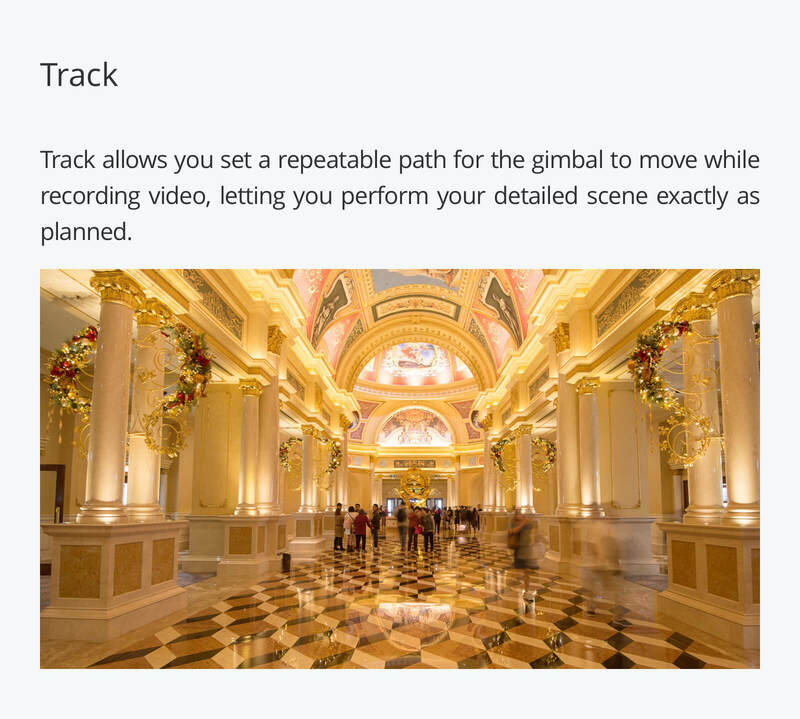 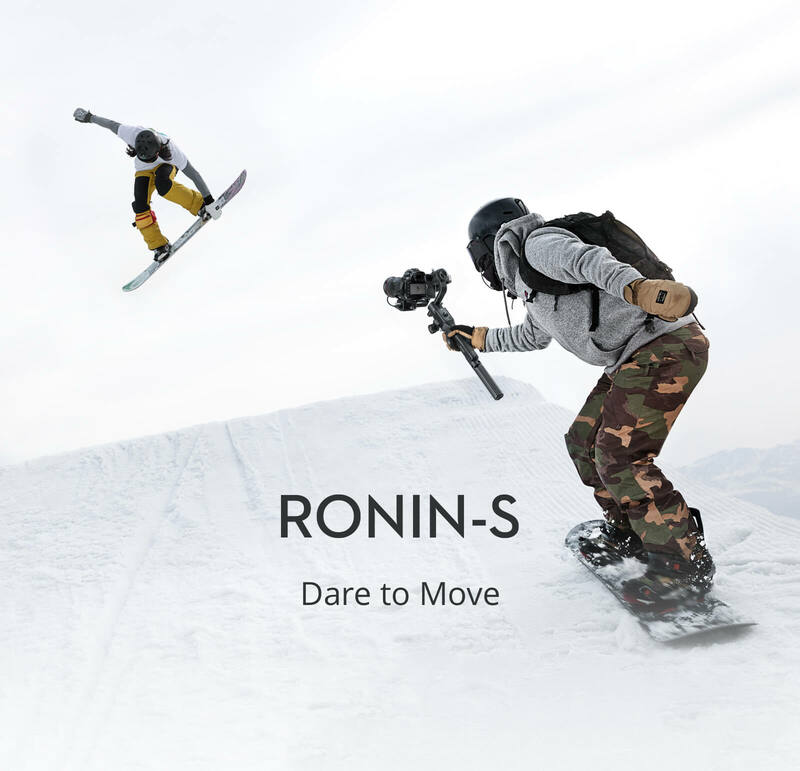 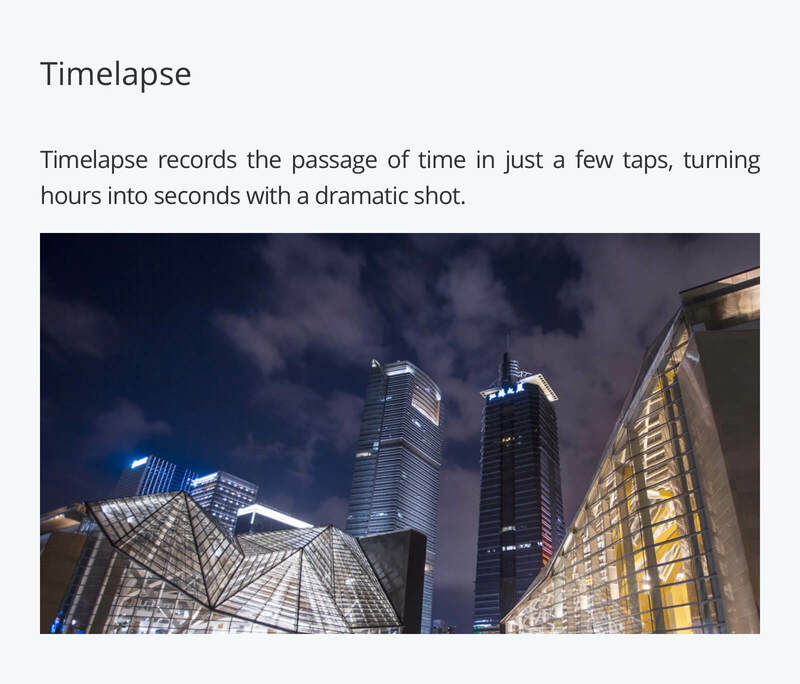 Includes a suite of automated features within the DJI Ronin app, letting you produce even more creative professional footage to unlock your true filmmaker potential. 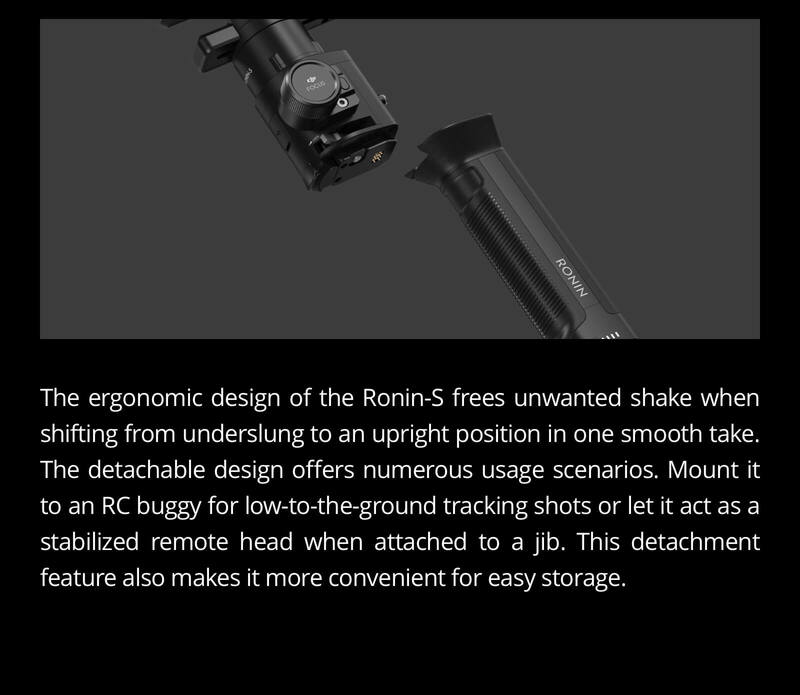 The built-in battery provides up to 12 hours of runtime.